Cédric Rey, who admitted inventing a story about a pregnant woman taking his bullet, has been jailed for fraud. A man who claimed to be a victim of the Bataclan massacre in Paris has been jailed for faking his story. Cédric Rey, who was given a six-month prison term, tried to get compensation from a state fund for victims of terrorism. He also joined the Life for Paris survivors’ group and got a tattoo commemorating the attack on November 13, 2015. It saw three ISIL-inspired jihadists storm the venue and kill 90 people in a three-hour bomb and gun attack. Rey, 29, told French media immediately after the bloodbath he’d been drinking with friends outside the Bataclan when the gunmen arrived. The ambulance driver said one of the jihadists had fired at him but a pregnant women in front of him had taken the bullets instead. A year later police became suspicious when they discovered Rey had never made a complaint to them. They then traced his whereabouts on the night of the attacks - which saw 130 people killed across the French capital - using his mobile phone data. 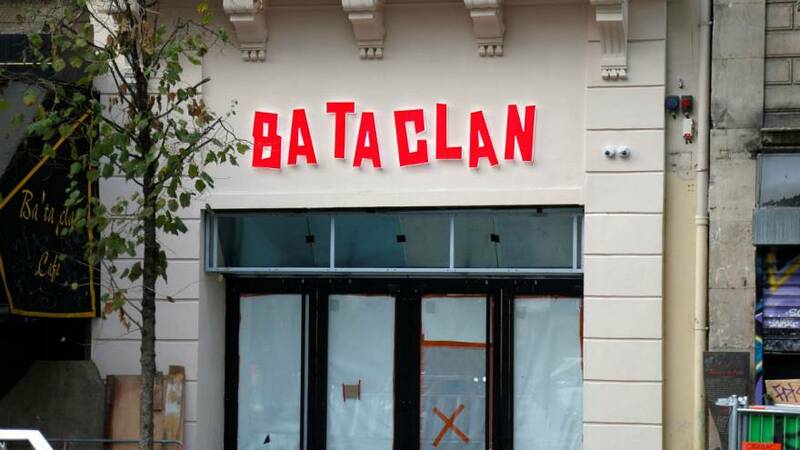 It put Rey 30km from the Bataclan when the attack started. Police also discovered that there was no pregnant women among the victims of the Bataclan attack. He did turn up at the venue around midnight, two hours after gunmen had opened fire. “When I heard on the airwaves what was happening in Paris, I took my car and I went there to help,” said Rey, who was appearing this week at a tribunal correctionnel (magistrates’ court) in Versailles. In the days after November 13, Rey said he had returned to a victims memorial at Paris’ Place de la République where he met survivors. Rey added he found support and friends in the victims at the memorial and that applying for compensation was a way of formalising his status as one of them. Jean-François Lagneau, lawyer for Indemnisation par le fonds de garantie, the state fund for victims of terrorism (FGTI), revealed Rey had been in regular contact with them in an attempt to advance his compensation claim. Prosecutor Corinne Moreau said Rey had telephoned FGTI 18 times between January and June 2016. Last year a couple from the south of France were sentenced to a total of nine years in prison for fraudulently trying to claim 60,000 euros from a fund set up to help victims of the Paris attacks. It emerged at the time that the fund had, by November 30, 2016, paid out 46.5 million euros to 2,444 victims of the Paris attacks.